On a balmy afternoon in May 2002, wealthy stockbroker Peter Nicholson was turkey hunting with three friends in Prentice Cooper State Forest when he tripped, fell on his shotgun, and accidentally shot himself...dead, but did he? 15 years later, as a last resort, Nicholson's mother asks Harry Starke to find the truth. As we all know, Harry loves a cold case, but...as always, there's a twist in the tale. What made the experience of listening to Without Remorse the most enjoyable? Blair Howard's writing, Tom Lennon's storytelling! 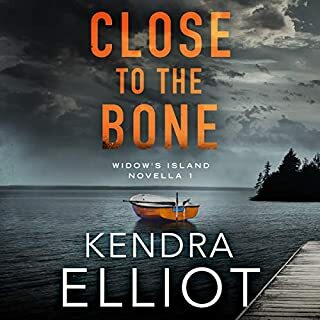 Hands down, a strong combination for an exceptional collection of mysteries available as Audible editions. Harry Starke. Likeable, Competent. Driven to solve the crimes that come across his desk. Add the supporting cast to help him. And don't forget the bad guys and gals that the author fleshes out to seem so real. Not a cardboard cut out in the bunch. Have you listened to any of Tom Lennon’s other performances before? How does this one compare? I have all of the Harry Starke Audible books. Tom has attracted a loyal following with his performances on them. You can hear as the series evolves, Harry maturing. The things happening in his life that are both challenging and fulfilling for him. Wow, what a series! I'm a fan of Harry Starke. In my opinion, it has been more fulfilling, for me anyway, to listen to all of the books in order. There is an evolution to Harry's life and adventures. 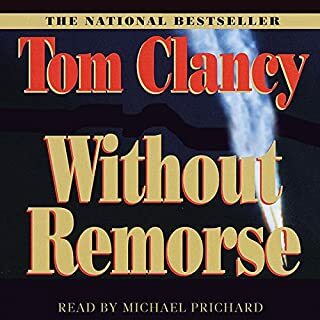 This review copy audiobook was provided by the narrator at no cost. Which I can only assume was voluntary on his part. I am happy to give my honest review of it. I think I'm suppose to mention how reviewing this was voluntary on my part too. I've only listened to a few Harry Starke novels but I have loved each and every one of them. This listen was no different. The mystery, the culprits, and the lead up to the big reveal were EXCELLENT! It wasn't until very close to the end that I guessed the whodunnit. Now that's a good mystery!!! The usual Starke cast of characters were on hand and I loved the backstory's on the three suspects. Loved, loved, loved it. I think the narration of Harry and all of the male characters in the novel were great. I don't think the narrator voices female characters well but when you have a good mystery like this, who cares. This was my first Harry Starke novel and I found him and his whole cast of characters quite interesting. The storyline was fast paced, entertaining and informative. The narration by Tom Lennon was excellent. 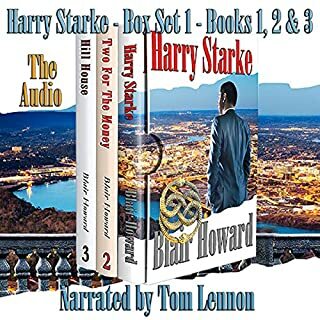 I would definitely listen to another of the Harry Starke series. Harry Starke, upon returning from his honeymoon finds his office do just fine without him. Not good for someone that is used to attacking new cases with passion. Luckily case is brought to him. Even though it is 15 years old and was ruled accidental by the Sheriff and Coroner. The victim's mother was never convinced so Harry and his newly promoted assistant go forward. 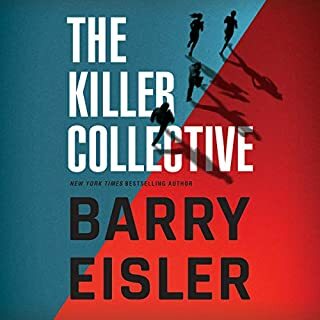 A great read and will make you start on the rest of the series. Harry Got Bored - But Not For Long! When Harry returned to work after his last adventure it was to discover that his staff were so efficient that they had nothing for him to do. Amanda was busy trying to get her old job back, Kate was busy, even Jaque was too busy to chat. He was a bit put out about this …. and Harry was bored! That is until Helen Nicholson walked in. Helen did not believe that her son Peter shot himself, she was convinced it was murder. Having made several unsuccessful attempts to get the case reopened, she was looking for someone to dig up fresh evidence. She did not expect Harry to accept the case. Well, of course, being Harry - a bored Harry, he surprised her by accepting. 2: that this was going to be a very, very tough assignment. You see, one was now a senior circuit judge, one was an Assistant U.S. Attorney and the third, a high flying lawyer. Harry was right, it was tough going, but what an assignment it proved to be! Can Harry win this one? 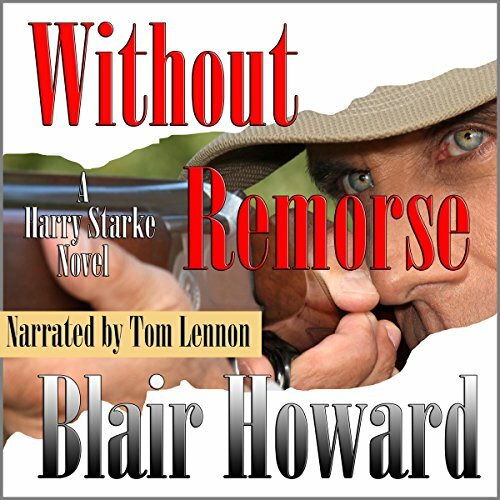 In true Blair Howard style we get a fully engaging fast paced yarn, inhabited by all those wonderful, richly developed characters that Harry fans have come to know and love. Have no doubt, Without Remorse will keep you guessing. Yes, narrator Tom Lennon lives up to our expectations again, giving us yet another outstanding performance and a high quality recording, thanks Tom. Without Remorse fooled me with who the killer was! I love that when it happens in a book. 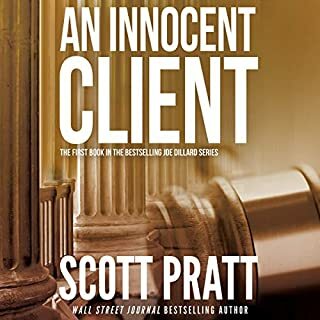 This book is a standalone listen, yet part of a series. The narrator did a great job with his performance and the author is extremely talented. I can't wait for the next one. I was voluntarily provided with this review copy audiobook at no charge by the author, narrator, and/or publisher. I received this audioibook from the author, narrator or publisher for free. I am offering my unbiased opinion . The characters and storyline were great and I would recommend this.